The correlation between the arterial stiffness and capillary morphology has not been recently investigated in a clinical study. Increased arterial stiffness contributes to increased vascular calcifications and atherosclerotic disease and all cardiovascular mortality. Microcirculation in arterial stiffness is important in an early vascular hypertension as well as in end stage disease. 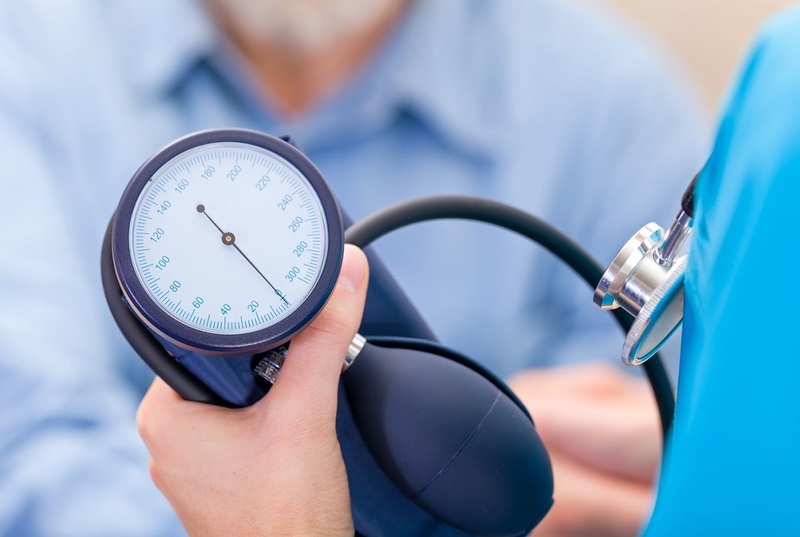 Measurement of the arterial stiffness has been recommended in the European Society of Cardiology and European Society of Hypertension (ESC/ESH) guidelines for the arterial hypertension. In order to evaluate the arterial stiffness, the measurement of aortic pulse wave velocity (APWV), augmentation index (AI), stroke volume (SV), the reflection gradient (RC) and other indices were performed using Agedio Arteriography. The nailfold capillaroscopy was done in the evaluation of capillary morphology in a nailbed. The estimation of cardiovascular risk factors was performed in all examined patients and two groups were formed. One group included hypertensive patients and control one healthy subjects. The open outpatient controlled prospective study has been designed. Preliminary results obtained have shown the significant increase in PWV, augmentation index and reflection index in hypertensive patients significantly correlated to capillary dilatation, reduced capillary density and capillary tortuosity. These preliminary results have shown that arterial stiffness has been significantly increased in a hypertensive group whereas the average vascular age has been increased. The changes in morphology of capillary and number of capillaries have been observed significantly. This finding is an additional evidence for the arterial hypertension influence on arterial stiffness as well as on microcirculation. Sekib Sokolovic is a Professor of Internal Medicine at Medical Faculty of Sarajevo and Cardiologist at Sarajevo University Clinical Center. He is a European Hypertension Specialist and Director of National Training in Cardiology and Director of the Excellence Center in Arterial Hypertension. His expertise is in arterial stiffness, vitamin D, arterial hypertension, microcirculation and pulmonary arterial hypertension. He is an invited speaker worldwide and key speaker as well.